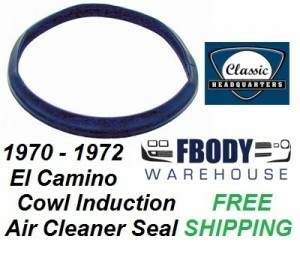 For your 1970 - 1972 El Camino with Cowl Induction. This is a new reproduction of original GM factory seal at a great price. Now with softer, thicker material and correct original style black seam tape strip as original (GM replacement does not).